60 individually packaged turbines and cardboard mouthpieces per box. 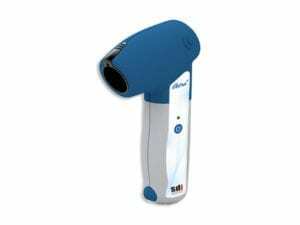 Ideal for sensor Spirometry. 100% hygiene guaranteed! 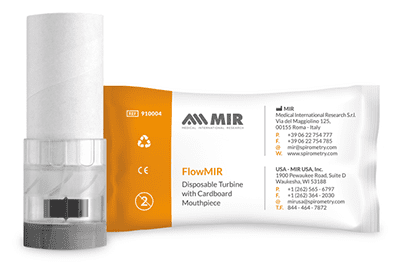 The FlowMIR Disposable Turbine with cardboard mouthpiece is ideal for sensor Spirometery. 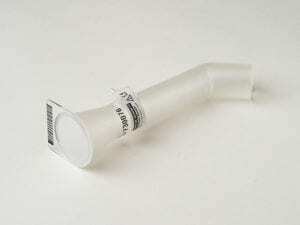 Spirometry testing requires maximum accuracy and hygiene. 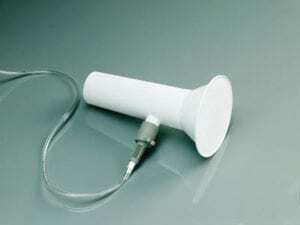 Each turbine, which includes a cardboard mouthpiece, has been individually factory calibrated with a computerized system and it is packaged individually. 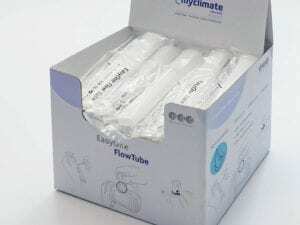 FlowMIR® is an inexpensive alternative to a costly reusable flowmeter and replaces the need for an antibacterial filter. 100% hygiene guaranteed!